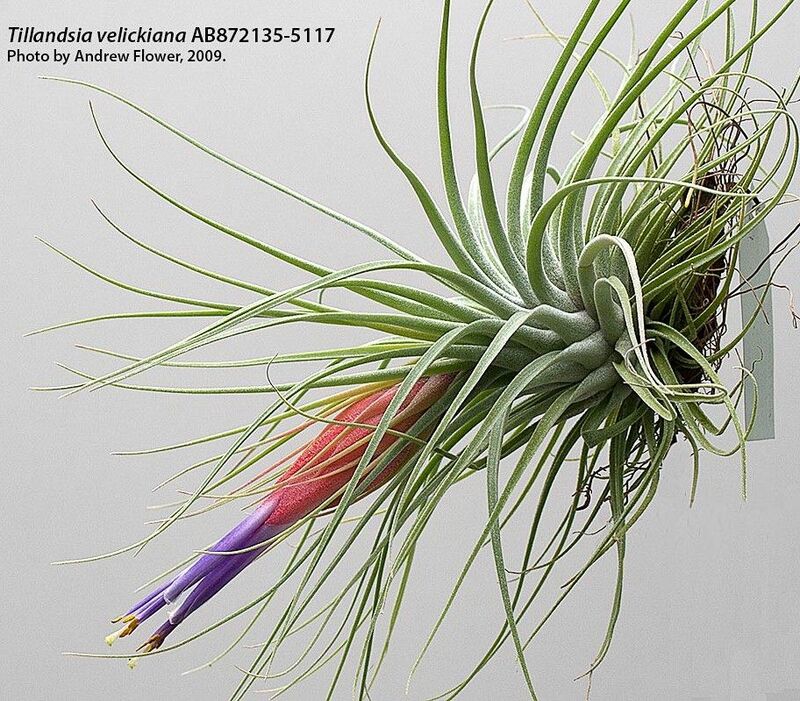 velickiana x macdougallii, Andrew Flower 2000. Derek Butcher ... "You do have fun with your hybridising and always questioning the results as a good hybridist should. Whenever I see T. velickiana I shudder. Ever since 1974 when Smith messed us up when he introduced the new species that had come via a US nurseryman from Guatemala. Subsequent collections have shown slight differences. 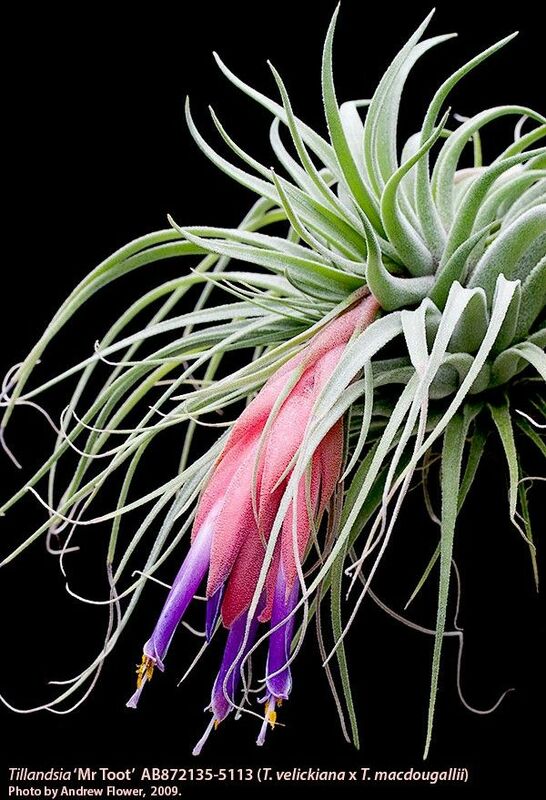 Eric wants to treat it as a blue/purple petal form of T. matudae and I have said when he bites the bullet I will be working on Cultivar names!"